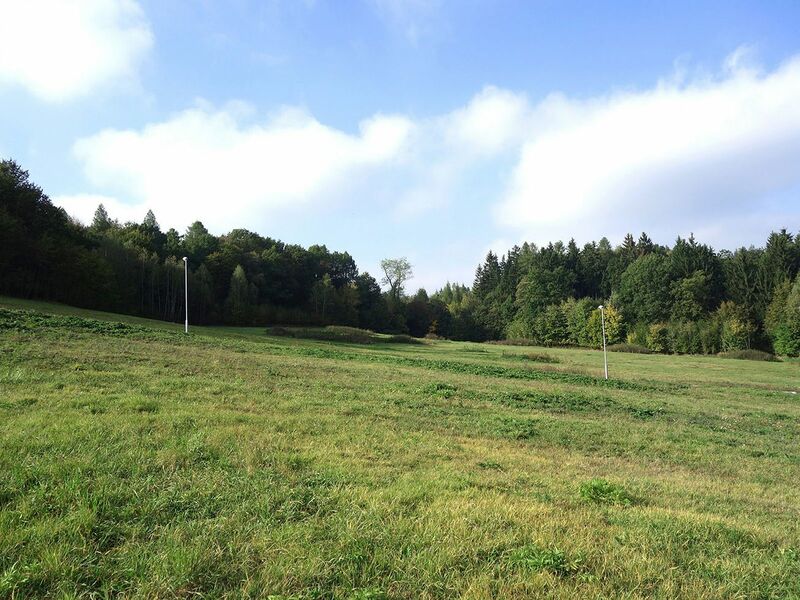 The plot with a total area of ​​1866 m2 located in a future residential area near Velké Popovice in a most picturesque landscape that recalls the pastoral scenes of Czech painter Josef Lada. Located only about 25 minutes away by car from the city center. The south-east plot, complete with a valid building permit for construction of a family house, is slightly sloped. The offered parcel is unique thanks to the nearby forest and adjoining creek. There is a new asphalt road with public lighting and public greenery. A 25% built-up area is guaranteed by privacy. Possibility of building a atypical structure with one underground floor due to the sloped nature of the plot. 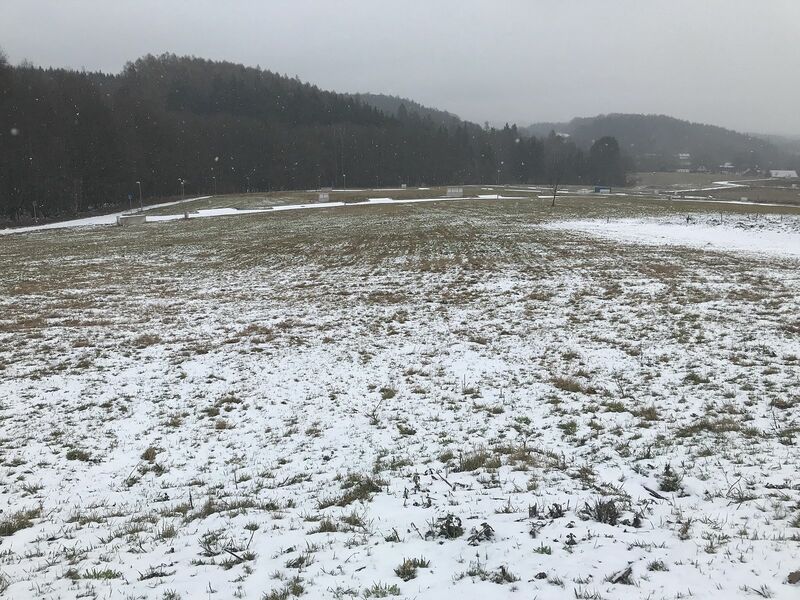 The plot is fully prepared: connection to electricity, gas, public water supply, sewerage (in 2018) and optical data network. 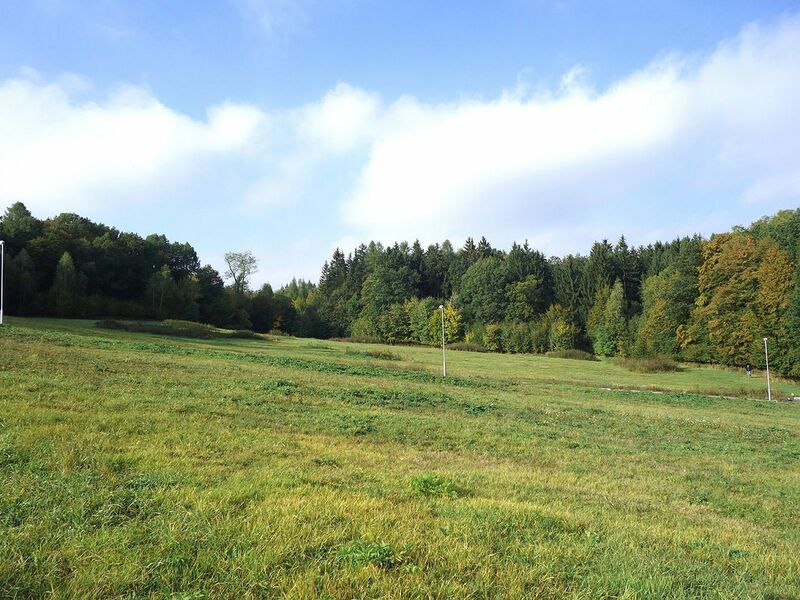 The plot lies in close proximity to the Velkopopovicko Nature Park and offers stunning views of the Posázavská hills area. Prague is quickly accessible due to the nearby D1 motorway - the edge of Prague can be reached in about 15 minutes. Civic amenities are located in the nearby Velké Popovice and Mirošovice. Close to the area are cycling and hiking tracks, the popular sightseeing destination Berchtold Castle and the former Velké Popovice Stronghold with a famous traditional brewery.